Since we didn't carve pumpkins last year there was no way Abby was letting us get away with not doing it again this year. 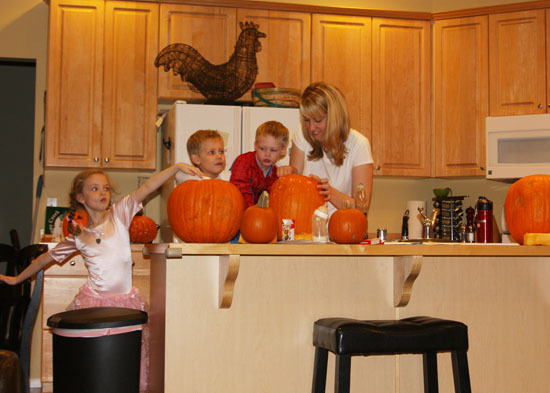 I got to clean out all the pumpkins and Mike was our pro carver. The kids picked out the designs and watched us work. They were too nervous to get messy with the pumpkin goo. 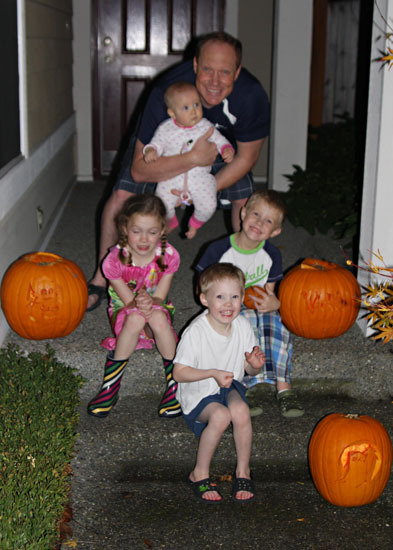 You can't see how cool the pumpkins look in this picture but I think Mike did an awesome job! Wow the pumpkins look great!!! 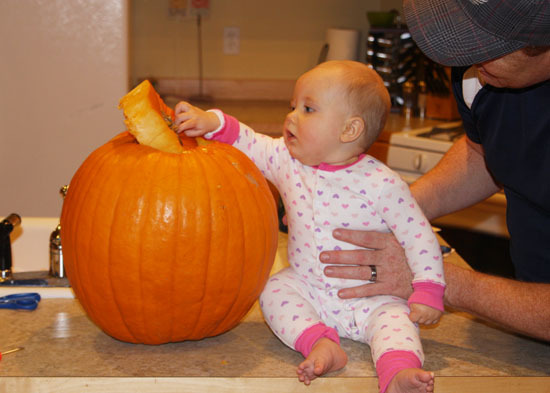 We couldn't even find pumpkins to carve this year, lame! I love the last picture the best, everyone looks like they are having so much fun and I love to see all 4 of your kiddos together, love them!! !